Outdoor journalists spend a great deal of time outside in the wilderness, taking pictures and preparing to write about endangered species, family camping, and how to become a better hunter or angler. Under newly proposed US Forest Service rules, however, some think these trips into the woods may cost the outdoor journalist a pretty penny. Earlier this year the US Forest Service began taking steps to impose a permit fee on anyone intending to do “commercial work” in designated federal wilderness areas. The Forest Service manages 193 million acres, about 36 million acres of which are considered wilderness and have been the setting for everything from documentaries to the 2013 movie The Lone Ranger. The Forest Service proposes charging a daily permit fee that may run from $30 for up to 3 people, to $800 for a few dozen people doing a large project. Violators may accrue fines of up to several hundred dollars per day, which will be imposed not by the Forest Service but by a federal judge. The definition of “commercial filming” has led many to believe the new fees don’t apply merely to big-budget Hollywood filmmakers, but that instead, the Forest Service intends to require a permit of anyone who takes a photo in a designated wilderness area—even with a cell phone—and ultimately sells it. A handful of congressmen have taken up the argument against the proposed regulation. Among them is Virginia’s Rob Wittman (R-1, Virginia), an avid sportsman and member of the House Committee on Natural Resources who routinely works with conservation groups and sportsmen. He holds a PhD in public policy and administration and co-chairs the Chesapeake Bay Watershed Caucus. Wittman has himself introduced legislation to increase the accountability and effectiveness of Bay cleanup efforts. He also serves as the vice chair of the Congressional Sportsman’s Caucus, a group of legislators who pay particular attention to issues concerning hunters, anglers, and conservation legislation effecting federally owned lands. The effect of the Forest Service’s rule change on conservation groups is unclear. Groups like Trout Unlimited, The Isaak Walton League of America, and the Theodore Roosevelt Conservation Partnership work closely with outdoor writers, pressing them to cover conservation concerns and often assisting in those journalistic efforts. Outdoor journalists and conservation groups fear that the proposed permit and fee could have a dampening effect on journalism about such issues as fracking, overdevelopment, and endangered species. In response to criticism, Larry Chambers, spokesman for the US Forest Service, responded that the proposal “does not apply to news coverage, gathering information for a news program or documentary. However, if a project falls outside of that scope and the filming is intended to be on wilderness land, additional criteria are applied to protect wilderness values. We’re looking forward to talking with journalists and concerned citizens to help allay some of the concerns we’ve been hearing and clarify what’s covered by this proposed directive.” Drawing a contrast to commercial filming, Chambers said that “a journalist covering a fly fishing story”—whether it’s breaking news, feature news, or a news documentary—is providing a public service, and the chief has made it clear that he would not consider that commercial activity. 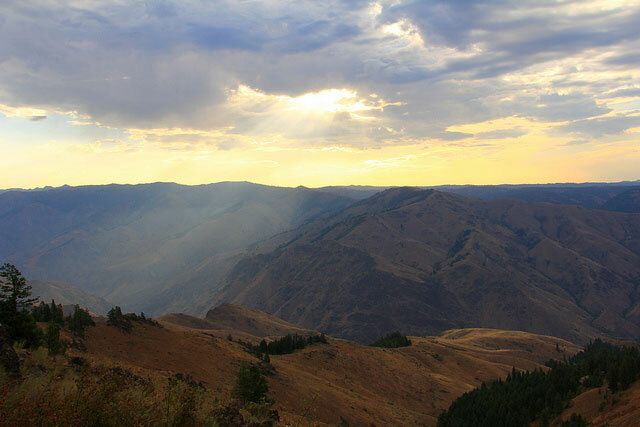 Nevertheless, a recent article by Bruce Reichent, who writes for Idaho Public Television, demonstrates quite clearly that some Forest Service managers are under the impression that nearly any wilderness area filming that isn’t “news” will require some sort of permit. The US Forest Service, so adept at battling forest fires, has been flummoxed by the response to its permit proposal and flat-footed in its attempts to ease public disquiet. Assume that until the Forest Service defines its terms and better clarifies its proposed policy change, this fire will continue to blaze out of control. Citizens who wish to comment on the issue can do so by email ([email protected]) through December 3, 2014.